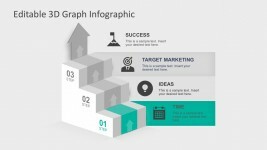 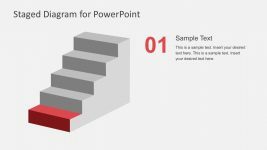 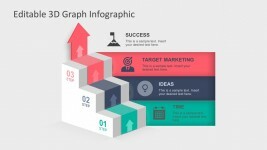 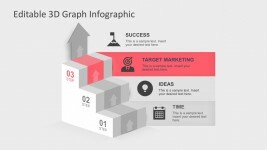 This PowerPoint template features a cartoon office worker jumping steps on a PowerPoint slide. . 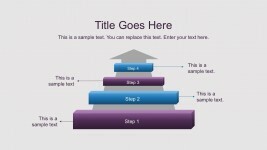 This slide design may be used in plans and procedures involving several steps, as a presentation of a developmental process. 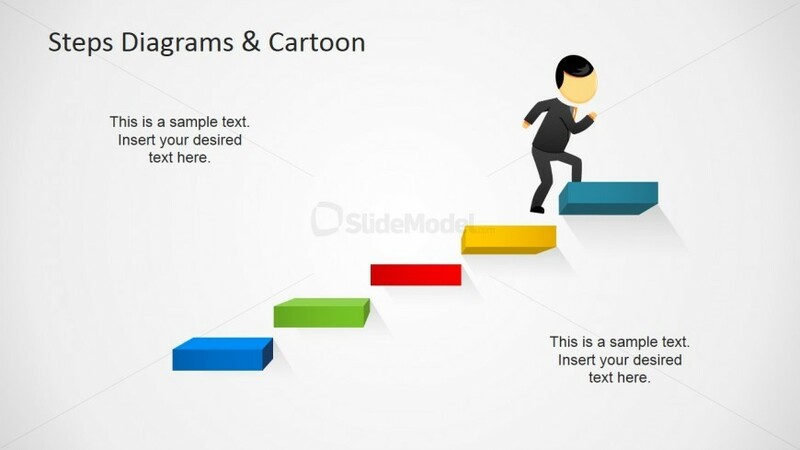 The cartoon office worker clipart is shown at the top of a set of 3D steps, shown in ascending order. 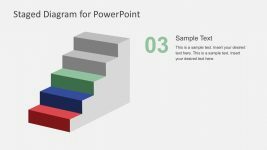 These steps are 3D rectangular blocks and have varied colors, light blue, green, red, yellow, and dark blue, to distinguish them from one another, with the dark blue step at the top. 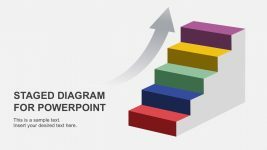 Two text placeholders are found on the PowerPoint slide, one above the 3D steps, and another at the bottom. All PowerPoint objects are 100% editable to suit the presenter’s needs and preferences.